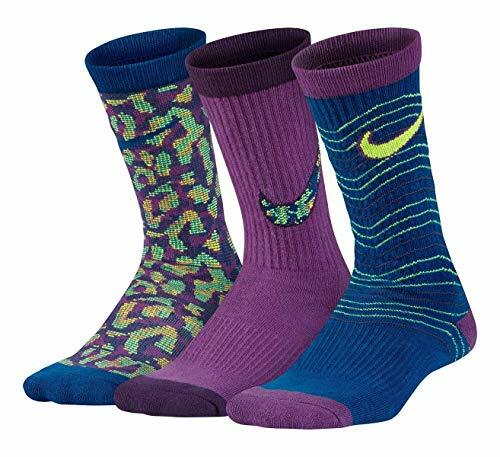 NIKE GIRLS PERFORMANCE LIGHTWEIGHT CREW SOCKS 3 Pack. Get a pop of color and awesome performance with your Nike Girls Performance Lightweight Crew Socks. Energize your feet with snug, secure arch support and a lightweight, breathable feel. Plus, you'll put plenty of miles on 'em thanks to the reinforced heel and toe.